My customers tend to be players who have reached a point in their drumming career where quality and individuality are very important. I am not a mass producer of drums. All of my drums are built by hand, one at a time. 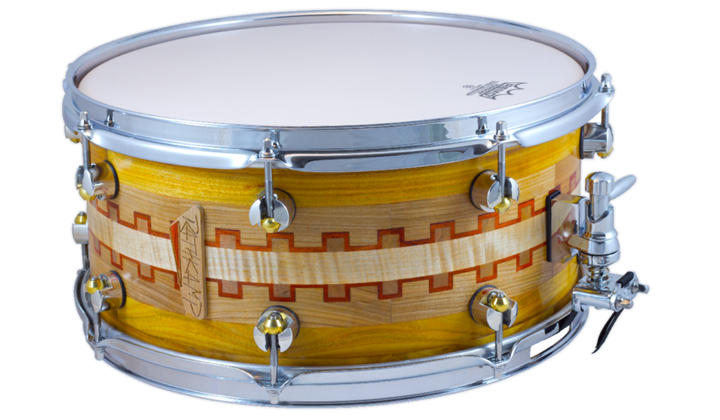 The three core areas of focus for me when building a drum are: Sound, Aesthetic, and Functionality. All of the features of my drums revolve around this core. 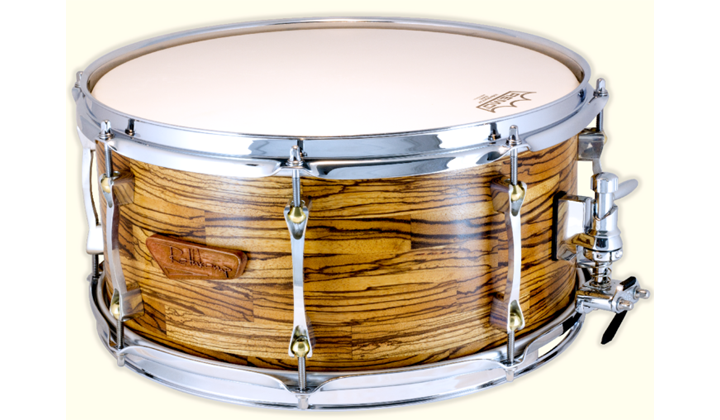 If I were to just buy commodity shells and hardware, I wouldn't be able to achieve what I believe a drum could/ should be. For this reason, I design and make my own shells and lugs. All shells are painstakingly constructed using the segment method. Wood is hand picked for it's appearance, size, and structural integrity. The wood is accurately cut into segments. The segments are then glued into a ring. The rings are then stacked on top of each other and glued to achieve the desired shell depth. After the shell is allowed to cure, the outside of the shell is machined perfectly round to a thickness of 8mm and then sanded to prep for finishing. Why are Rathkamp Drums shells different? I am able to select any type of wood which gives my a huge sonic and visual palette. I control the quality. I'm not at the mercy of a supplier. If I'm not happy with a shell, it goes into the fireplace. Rathkamp Drums shells are round. Rathkamp Drums shells are dead flat. I've invested in processes and Quality Control equipment that ensures that every single bearing edge is perfectly flat, increasing a nice sweet sustain, and making my drums a dream to tune. At no point in time is the wood ever stressed. 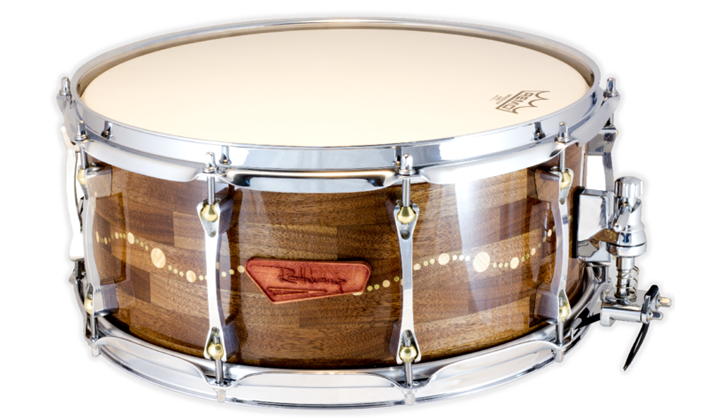 This means that the wood remains in a relaxed state throughout the drum's life and that there are no internal stresses that could cause variation in sound or that could crack the shell. Because of the staggered gluing of the shell, the structural integrity is incredibly sound. I have literally bounced my shells on a cement floor, only to have them come back into my hands like a basketball. Try doing that with a stave shell. 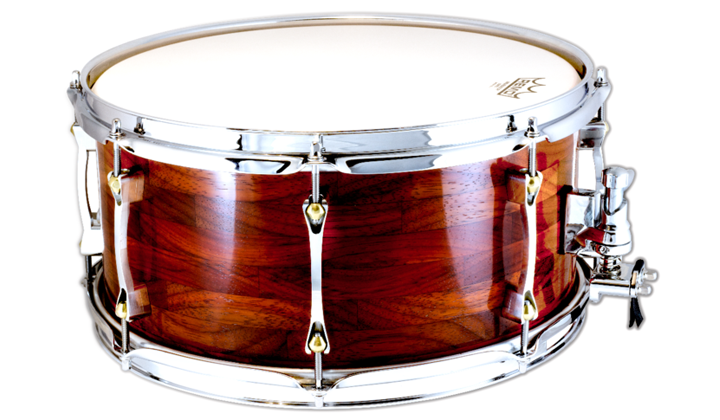 Rathkamp Drums uses the V4DE quick-release lugs. These lugs offer great functionality and a very clean, minimalist look. Every lug is hand-polished by me (not my favorite job, but the results are fantastic). All hardware is mounted to the drum with high-quality stainless steel fasteners. My drums tend to fall into 3 general categories, shown below, with rough pricing. This pricing is meant as a guideline only. Because of the 'one-off' nature of my work, pricing is subject to a lot of variables. Once we settle on exactly what you're looking for, I can give you a firm quote. Ordering a Rathkamp Drum can start out with an email or a phone call, or by filling out the form below. I have a "regular" job, so I won't always be able to pick up, but I'd be happy to talk with you about what you'd like. Once we nail down what your looking for, I can give you a price. Full payment must be received prior to me starting on your drum. Delivery is currently at about 2 months. You can reach me at todd@rathkampdrums.com or at 608.588.6603 or if it's easier for you, fill out the form below. Ahhhhh endorsements....a tricky subject to navigate, but something I've put a lot of thought into. The thought of having a group of drummers willing to play my drums, and speak highly of them is an honor. However, the traditional model for an endorsement program just doesn't work for me, so I've devised a more direct model that works very well for everyone. I send you a check for $50.